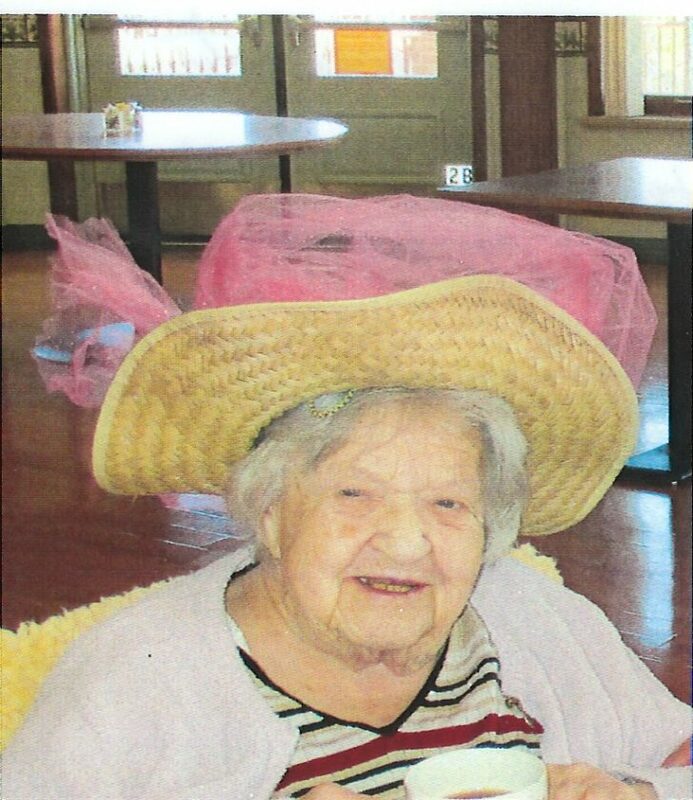 ESCANABA — Helen Mae O’Donnell, 95 of Escanaba, passed away early Tuesday morning July 24, 2018, at Pinecrest Medical Facility in Powers. Helen was born on Christmas Eve 1922, daughter of Rudolph and Mary (Cmelja) Vetrovec. The family spent a few years in Chicago when Helen was young and again as a young adult, but her heart was always being back in Perronville on the family farm. She worked at Schoen’s Mink Ranch and the TB Sanitarium in Powers where she met life-long friends Eileen Boerschinger and Gerry Kluz. On Sept. 3, 1955, Helen married Robert O’Donnell at St. Patrick’s Church in Escanaba. He preceded her in death on April 1, 1987. She enjoyed writing letters to her cousins and friends. She loved tending her garden with neighbors Ruth and Richard Arkens, canning vegetables and fruits, baking, visits with beloved nephew Richard and his wife Karen, making wreaths, sewing clothes, talking on the phone, taking long rides with Ann Anger (the Duck), being in nature with the animals and birds. For many years she looked forward to entering vegetables, flowers, canned and baked goods at the U.P. State Fair where she earned many awards. But most of all she cherished spending time with her grandson Bobby, together they were a team of love, adventures and sometimes mischief. She and her friend Eileen enjoyed sitting in the car watching Bobby and Eileen’s grandson Jonathan Pepin race. She was a fan of music and loved singing silly songs. Helen had a special saying “I love you a bushel and a peck”. She said it often and meant every word. She learned at an early age to enjoy people and that she did! She was a member of the Dartball League at Bethany Lutheran Church for many years. Among survivors are her daughter, Kathy (Steve Sr.) Rose; grandson, Bobby Rose; special niece, Karen Vetrovec; step-grandchildren, Steve (Crystal) Rose Jr, Laurie Krouth (Rick), Sarah (Karl) Kleiman, Scot (Reyna) Rose and their 18 great grandchildren and 10 great-great-grandchildren; cousins, Laurel (Mike) Stephens, David (Judy) Cmejla, Russ (Donna) Cmejla, Pat (Lorne) Ruzicka; and many O’Donnell nieces and nephews. She was preceded in death by her parents and husband; siblings, Miles Cerny and Eddie Vetrovec; sister-in-law, Anne Vetrovec; nephew, Richard Vetrovec; aunt and uncle, Doris and Russ Cmejla; and cousin, Myra Holmi. The family would like to thank the staff of Perspectives, Pinecrest and UPCAP staff, especially Tonya Reynolds and Charlene Hansen, along with her caregivers, Cathy and Danielle Winling, Barb Johnson, Debbie and Alexis Baker and Myrna Hughes. The visitation will be held on Wednesday, Aug. 1, at the Crawford Funeral Home, 302 S. 13th St., Escanaba, from 2 to 5 p.m. The funeral service will follow at 5 p.m. with Rev. Eric Olson officiating. The Crawford Funeral Homes are assisting the O’Donnell family.